Inspired by California culture the Opin Purist Tote embraces a lifestyle of ambition and drive, but with a laid back attitude for play and work. 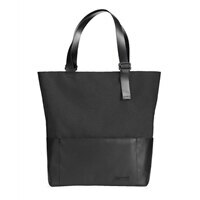 The Opin Purist Tote is the essential carry-all. Light-weight, minimal complexity, and smart design create a streamlined tote with high versatility and functionality. The Opin Purist Tote bridges the best of what you need and eliminates what you don't.